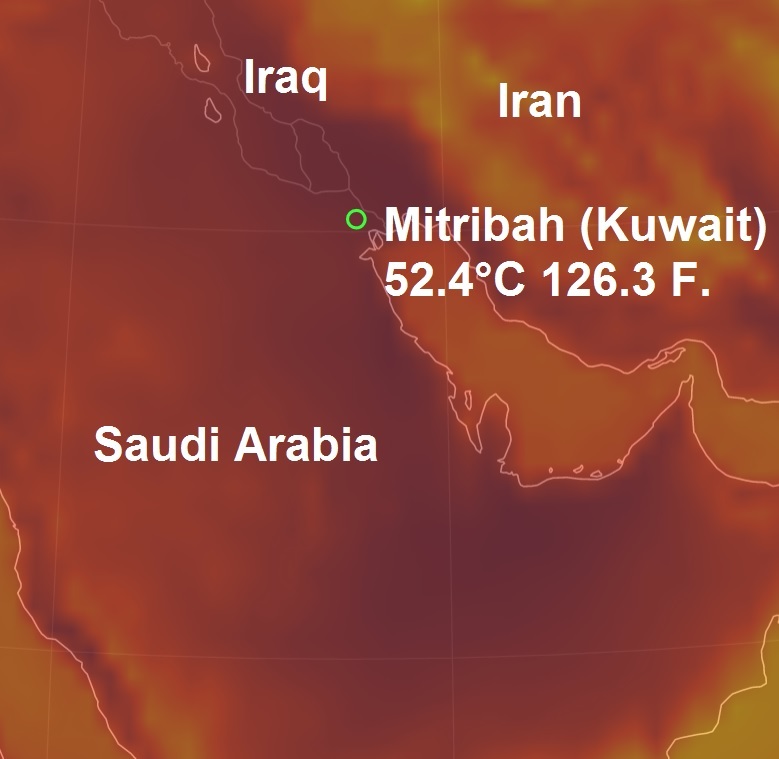 If you are living in the northern hemisphere and most of my visitors are, a lot of you will be complaining about the heat recently, well spare a thought for or friends in Mitribah (Kuwait) with the highest temperature I have seen this year with a high of 52.4°C 126.3 F.
In my years blogging I have never recorded so many severe heatwaves as this summer in the northern hemisphere. 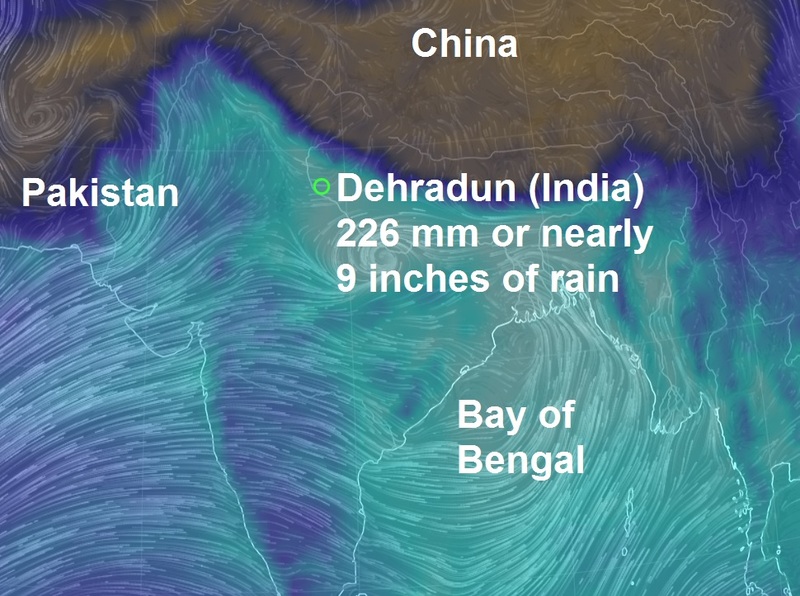 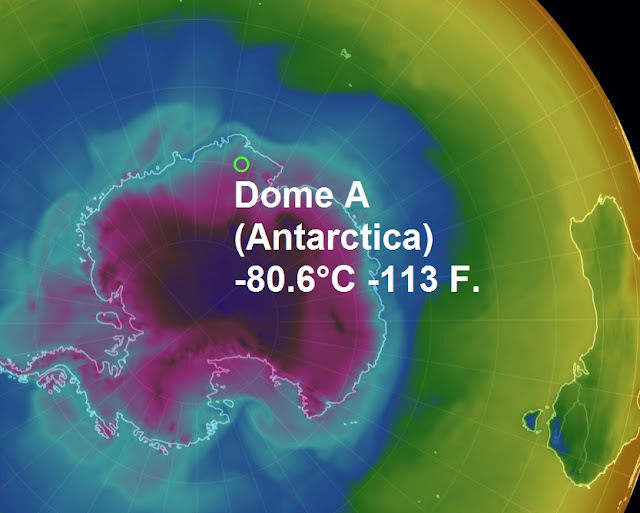 If you like it cool then the best place for you today, as was yesterday too is Dome A (Antarctica) where the temperature actually increased yesterday to a balmy -80.6°C -113 F.
Dehradun (India) was the wettest place on the planet yesterday with 226 mm or nearly 9 inches of rain in the last 24 hours, see below. 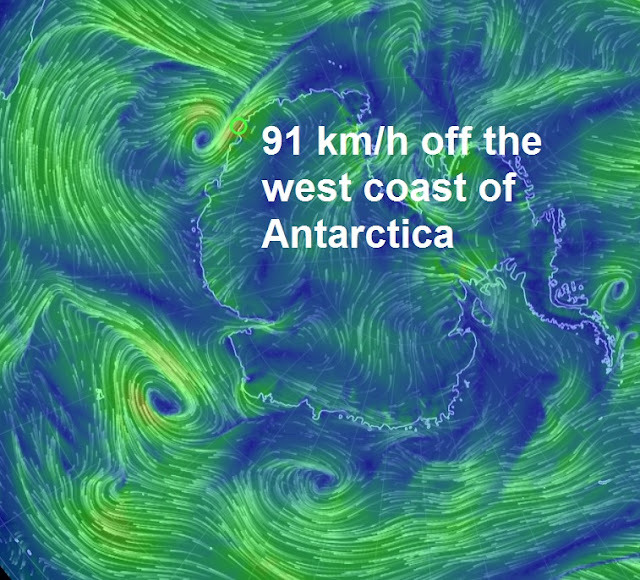 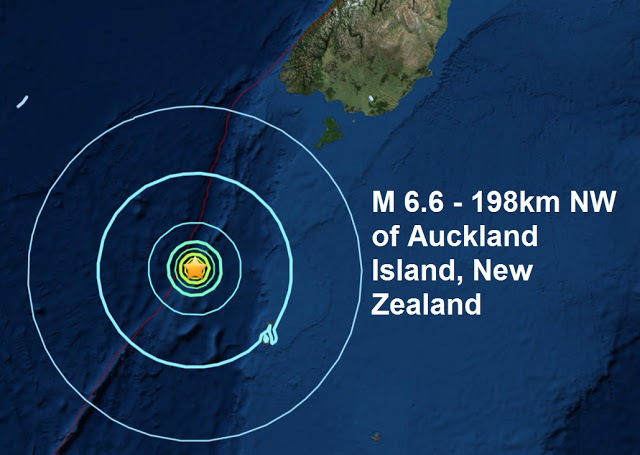 As the strength of Hurricane Eugene diminishes winds of 91 km/h off the coast of Antarctica was the windiest place on the planet in the last 24 hours.